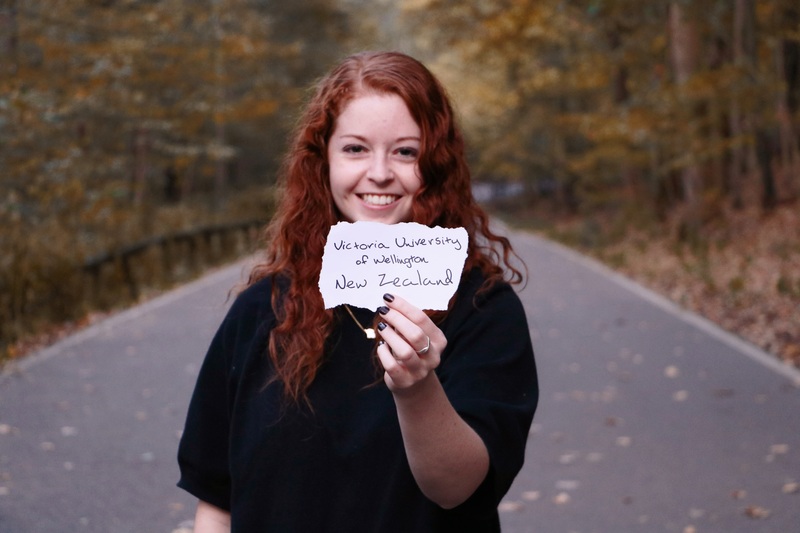 Junior multimedia production major Jayne Burnett was recently awarded a $500 scholarship from Education New Zealand to study abroad for the spring semester at Victoria University of Wellington. Burnett was chosen as one of 13 U.S. scholarship winners for 2017 from a group of 104 applicants. Recipients were selected based on academic excellence, communication skills and the goals they intend to pursue while studying abroad. As a recipient of this award, Burnett will serve as a Kiwi Ambassador for future study abroad students by periodically posting directly from Education New Zealand’s Instagram account (@studyinnewzealand) to its 17,000 followers. She will also update her personal blog that highlights her studies, cultural experiences and new friendships during her time abroad. This is the fourth round of travel awards offered by Education New Zealand in partnership with Generation Study Abroad, an initiative launched in 2014 by the Institute of International Education to double the number of American students who study abroad by the end of the decade. Education New Zealand has provided more than 19 scholarships to U.S. students since 2014.